„We value this partnership and the opportunity to work with such a dedicated organization within the racing industry. This will play a key role in our research and development, as we continue to move forward with innovative solutions, making this a win-win for both Dayco and DSR,” said Yann Taurel, vice president of industrial aftermarket sales. „We’re excited about our new partnership with Dayco and are proud to announce that Don Schumacher Motorsports will be the exclusive distributor for the Dayco Racing blower belt. 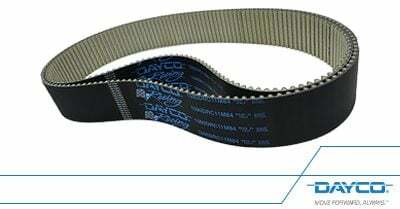 We worked with Dayco to help develop this new belt and our teams were pleased with the performance. 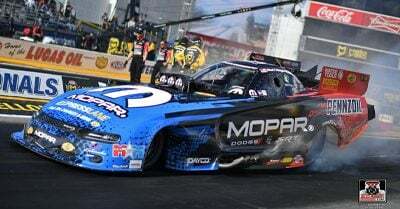 Don Schumacher Racing and Don Schumacher Motorsports look forward to a long and mutually beneficial relationship with such an innovative company,” said Don Schumacher, owner Don Schumacher Racing and Don Schumacher Motorsports.